In some cases, you may want to disable the Assistant on particular pages of your site. This can be done via Per Page Settings (https://app.elev.io/pages). Now if you load that page, the Assistant will have been set to not load. N.B. 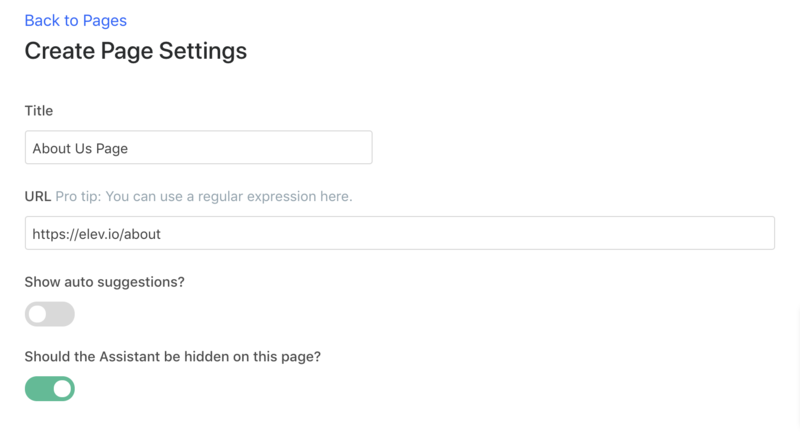 You can use regular expressions if you like when setting the URL; use this tool to help craft your regular expression. Who can see the Assistant?